You lucky things – we’ve got another prize draw running this week over on Twitter @RedLetterDaysUK. The competition closes on Friday 1st March at 10am. Good luck! 1. By entering this free Twitter RT Prize Draw you agree to these Terms and Conditions. 5. The prize does not include transport to and from the hotel or whilst at the hotel. 6. Hotel stay is on bed and breakfast basis. 7. Winner must take their hotel stay before Sunday 30th June 2013. 8. In order to redeem the hotel stay, Red Letter Days will collect the relevant information from the winner and pass it on to the hotel venue – the hotel will contact the winner to book their stay. This information will not be shared for any other purposes. 9. 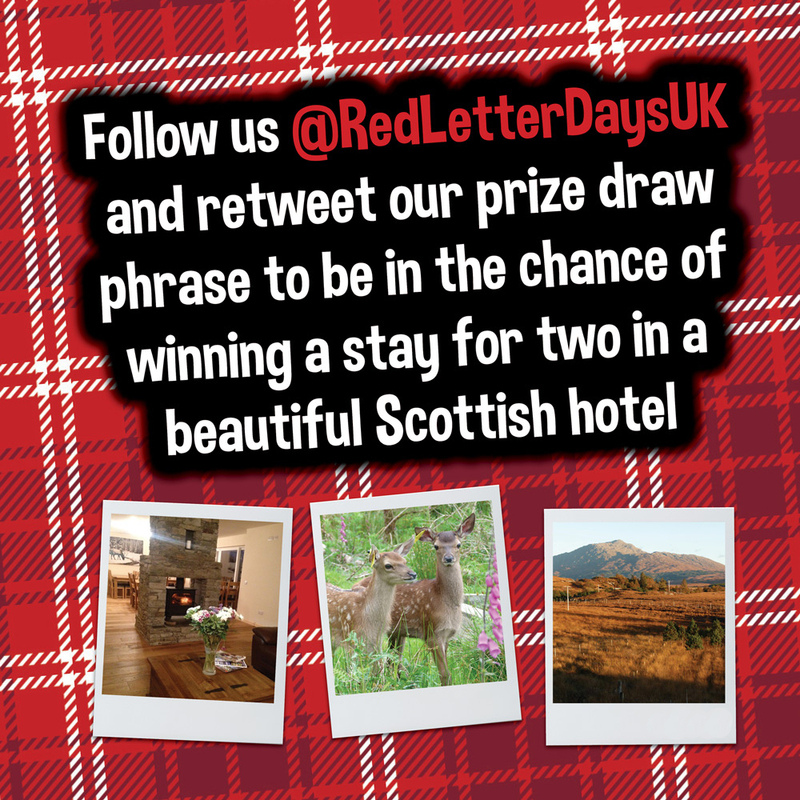 To enter this Prize Draw, you must be a follower of the @RedLetterDaysUK Twitter account and Re-Tweet the full entry message (below), including the correct prize draw #tag: #RLDretreat. 10. The Prize Draw opens on Tuesday 26th February at 10:00 and entries must be submitted by Friday 1st March at 10:00. 12. Any entry account which breaches these rules will automatically be disqualified. 13. Red Letter Days accepts no responsibility for late entries, delayed entries or non-receipt of entries due to any reason whatsoever, including technical faults or inability to access Twitter or the Internet. 15. The winner will be drawn at random from all entries, and announced on the Red Letter Days Facebook and Twitter pages on Friday 1st March. 16. The winner will be notified via their entry Twitter account. Red Letter Days decision will be final and no correspondence or discussion shall be entered into. 17. If the winner has not responded within the seven days following notification, the prize will be forfeited and a new winner will be selected at random. 18. Prize is non-transferable and non-refundable There is no cash or other alternative to the prize, and the prize must be taken as offered. 19. Red Letter Days reserves the right to substitute the prize for an alternative one of its choosing which has a value the same or greater than the original prize in the event of circumstances outside of its control. 20. By entering the Prize Draw the winner agrees to participate in such promotional activity and material as Red Letter Days may require. 21. The winner’s name will be available for two weeks after the draw by sending a SAE to Joshna Patel at the address below. 22. These terms and conditions shall be governed by English law and exclusive jurisdiction of the English courts. 24. Twitter has no involvement with, or liability for, the operation of this Prize Draw.